Liverpool debuted their new third kit against fellow New Balance outfitted side Stoke City yesterday. Unfortunately for the Reds, the black strip didn’t inspire the players as they were 5-0 down at half time against the Potters, and eventually lost 6-1 to the Staffordshire outfit. 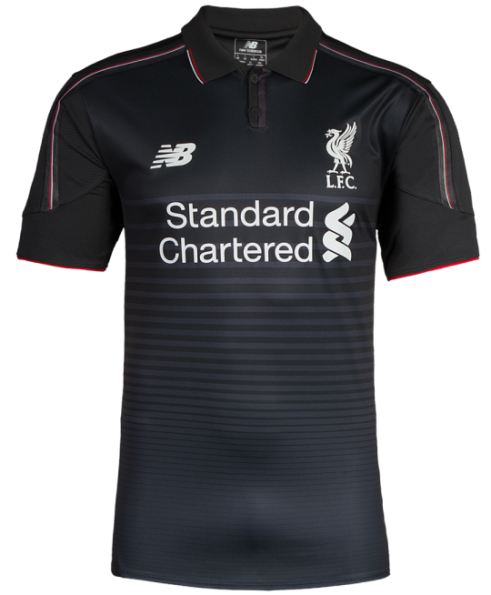 The Reds have already revealed their home kit, means that their 2015/16 away kit is the only one yet to be released. That shirt is believed to be white in colour.